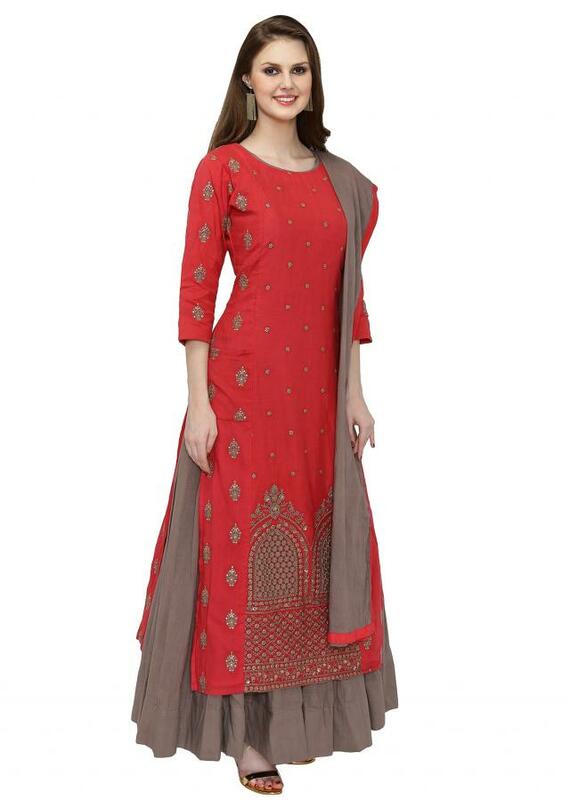 This georgette kurta skirt ensemble is ideal for gracing celebratory occasions. 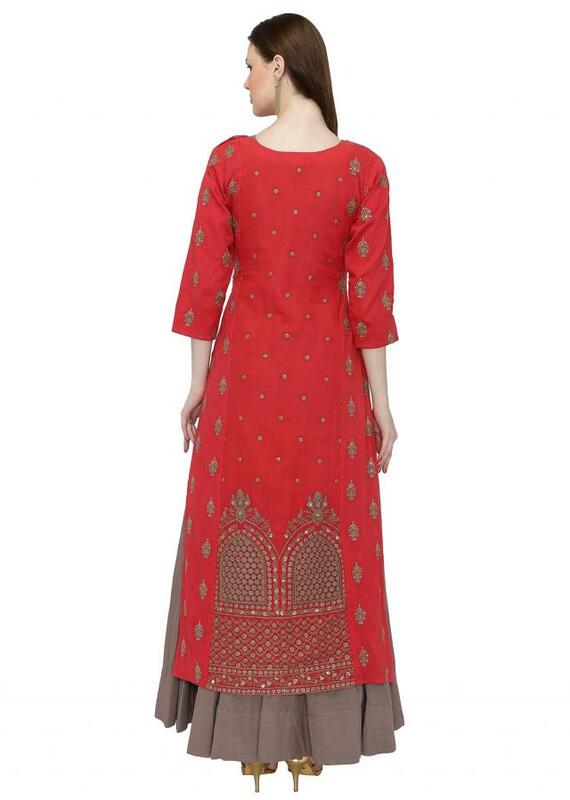 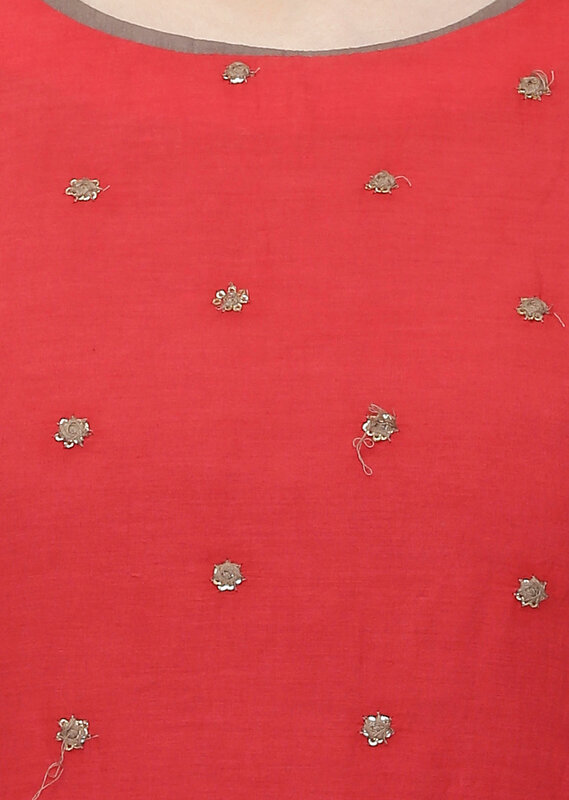 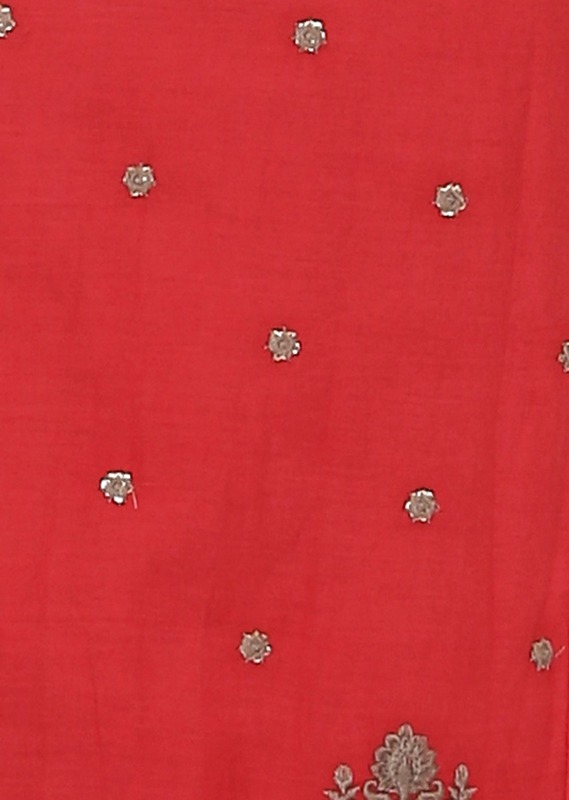 The red kurta is styled with an array of floral motifs and butti embellished in sequins. 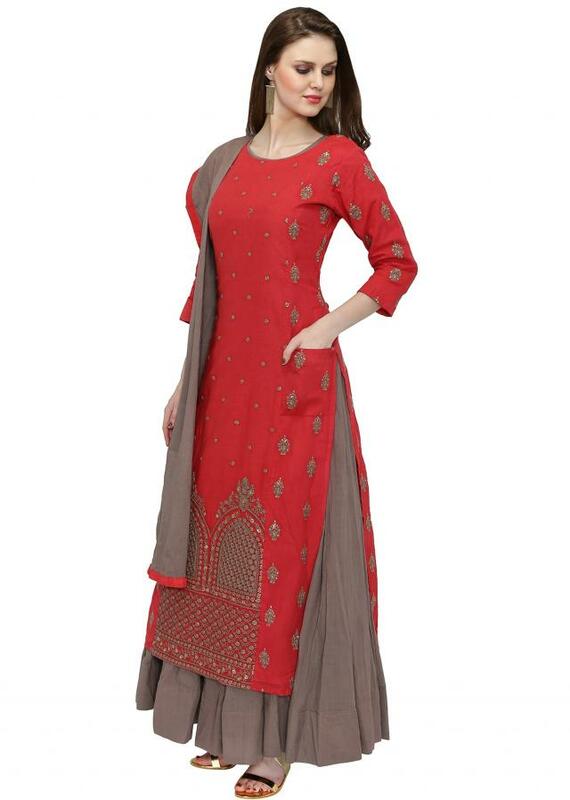 It comprises of a round neckline, three quarter sleeves, a patch pocket on the front and side slits. 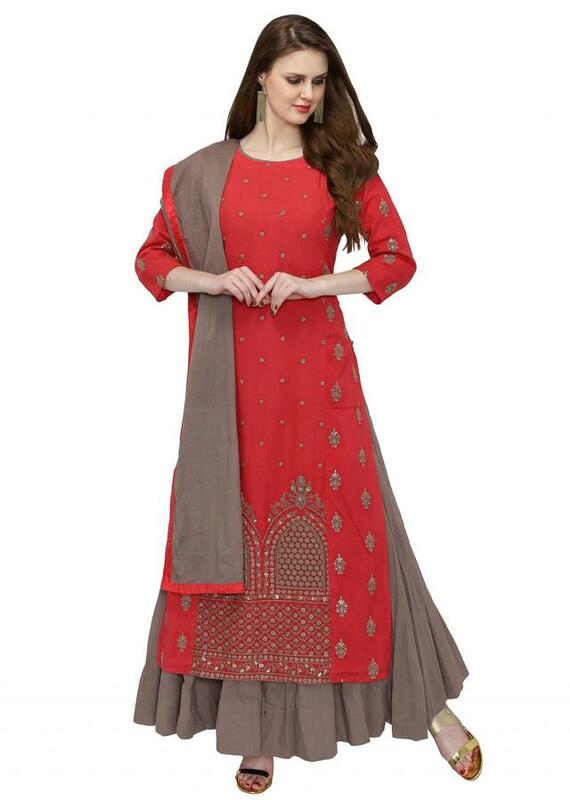 The grey skirt adds a voluminous style. 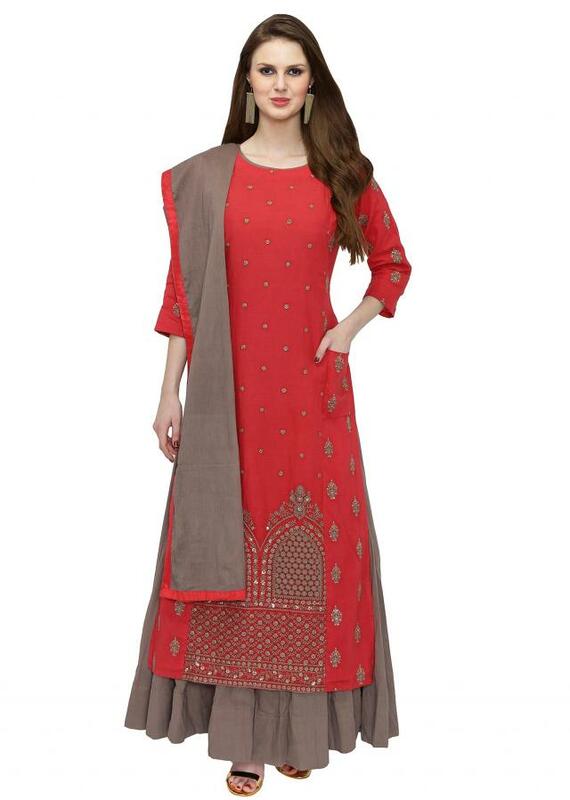 The grey solid dupatta showcases a red border.